Judge Alexander earned a J.D. from the Louisiana State University Law Center in 1979, where she attended law school on the Earl Warren Legal Scholarship. She earned a B.A. in Political Science from Grambling State University in 1989. 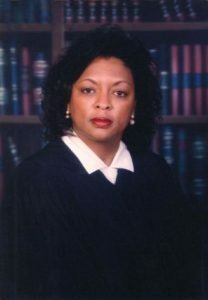 Judge Alexander began her legal career as counsel for the Louisiana State House of Representatives and the Louisiana State Senate. Realizing that Criminal Law was her forte, she began working at the East Baton Rouge Parish Public Defender’s Office and the law firm of Moore and Moore in Baton Rouge, Louisiana. From 1988-1995, she served as Chief Legal Counsel for the Louisiana Department of State under Secretary of State Fox McKeithen and as an Ex-Officio Member of both the Louisiana State Bond Commission and the Louisiana School Employees Retirement System. She also served as an Assistant Attorney General for the Louisiana Attorney General’s Office. Judge Alexander practiced law for over 17 years before being elected to the bench. 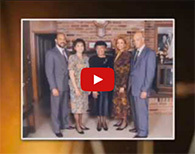 In 1995, she was elected to Division D of the Baton Rouge City Court. Judge Alexander is a member of the following organizations: Louis A. Martinet Legal Society (Past President); LSU Law Center Black Alumni (Past President) and the Baton Rouge Association of Women Attorneys. 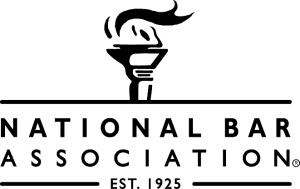 Sankofa Human Development Corporation (Board Member), Grambling State University Alumni Association, Charles P. Adams Chapter (Past President), Louisiana State Bar Association and the National Bar Association. She is a past President of the Louisiana Judicial Council of the National Bar Association. As President of the Louisiana Judicial Council she spearheaded the creation of the Louisiana Black Judges Association Scholarship program. She currently serves as Chair of the National Bar Association Judicial Council. She is a native of Grambling, Louisiana.